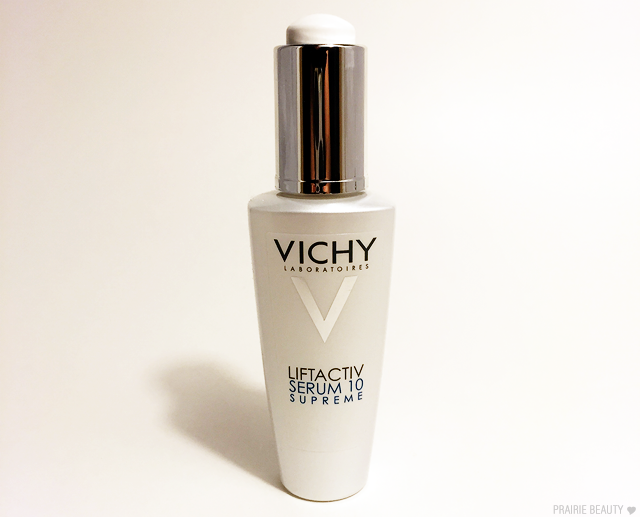 Over the past year or so, Vichy has really been doing me good and I continue to use a lot of the products that I've had the opportunity to try here on the blog. 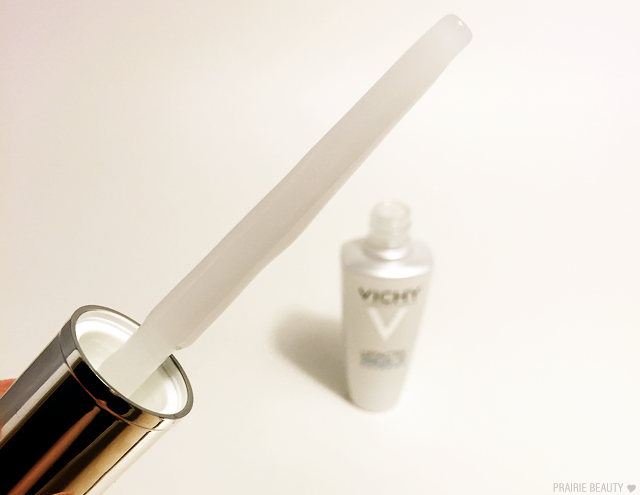 In fact, if anyone would be interested in an update post on all of the Vichy products that I've reviewed, let me know in the comments because I'd love to do that! 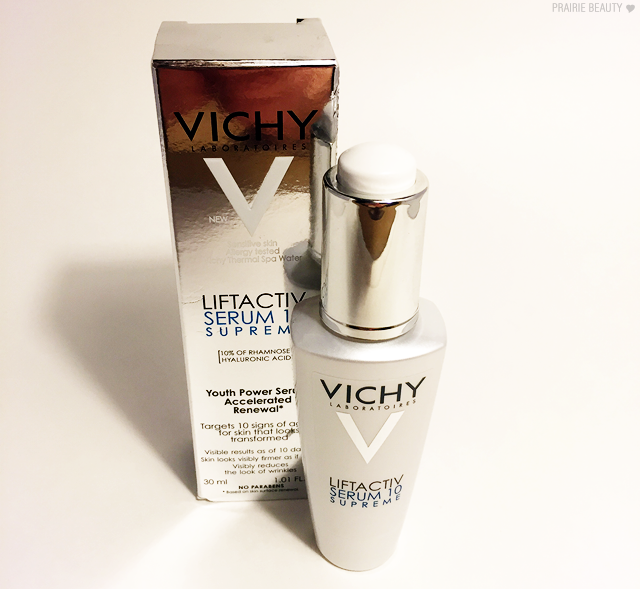 Now, I recently got the opportunity to try the newly reformulated Vichy Liftactiv Serum 10 Supreme* and I was insanely excited about it because the Vichy Idealia Life Serum* was one of my favorite skin care products of 2015 and remains one of my favorite serums that I've ever used. I've been using this consistently for a few weeks now and I'm ready to let you know what I think of it! As you can see, this serum comes packaged in a glass bottle that has an opaque coating on the outside,which is intended to protect the product inside from being degraded by the sun. 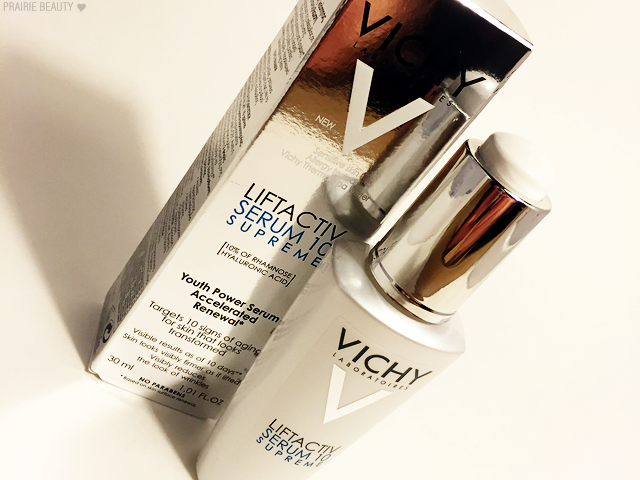 Rather than dispensing with a pump, this serum comes with a dropper. While this does do a good job of keeping the product hygienic, I would personally prefer that it came with a pump. This is clearly a small nitpick and not one that would discourage me from the product, but I felt like it did bear mentioning. I do, however, suspect that the dropper packaging was chosen because of this specific formula, though I obviously don't know for sure. The texture of this serum is sort of a creamy gel, slightly milky. I find that I absolutely love the texture of this on my skin and find that it smooths over the skin really easily and evenly. I also find that it soaks in quickly, but leaves my skin feeling really hydrated and healthy looking. I would also say that this is likely a good option for sensitive skin, as I haven't had any irritation or ill effects from using this product and I actually found it quite soothing. Overall, I found that I really liked how this worked for my skin. I found that it did help to improve the appearance of my skin in the short term, though the effect was subtle, and I've noticed that my skin is looking very healthy and fresh since I've been using it. Like I've said with anti-aging products in the past, I can't really speak to how this would work on mature skin because the only skin I have is early 30s skin, but I do definitely think that this has improved the overall appearance of my skin and I plan on continuing to use it in hopes that I'll see even more visible results. 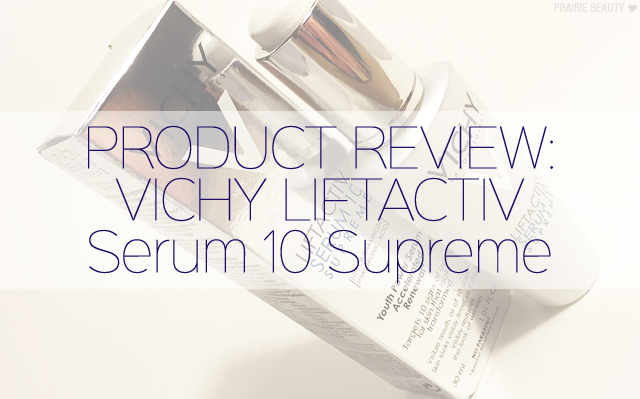 Have you tried the newly reformulated Vichy Liftactiv Serum 10 Supreme? Let me know in the comments!